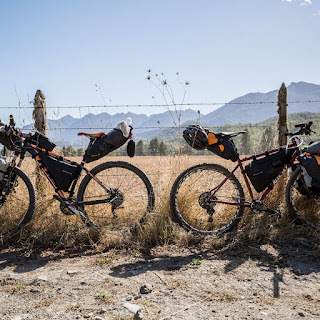 The frame bag is a favorite among bikepacking fans and bicycle touring enthusiasts who want to pack light and save weight. They're also a handy way to haul around that "happy medium" amount of stuff -- more than the usual fast ride, less than a full touring load. Previously, frame bags were mostly only available from small, custom bag makers. These folks do great work, but they are typically very expensive and have long lead times and waiting lists. 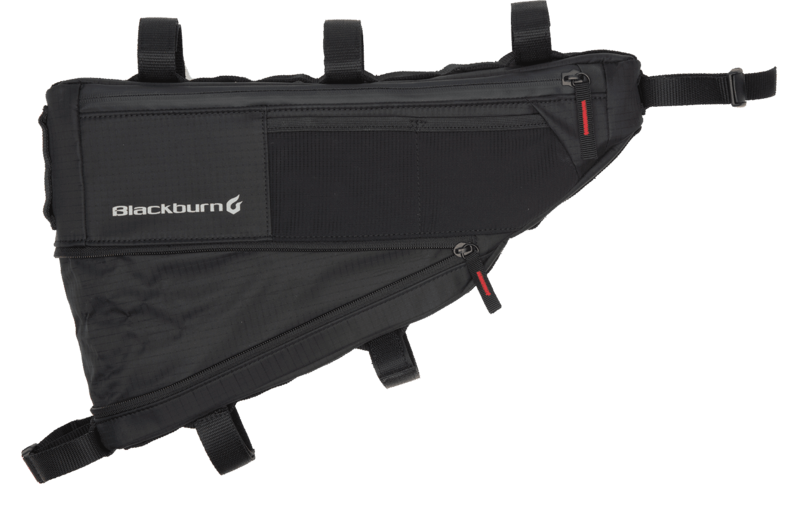 Now, Blackburn Design brings frame bags to the everyday rider at a reasonable price. 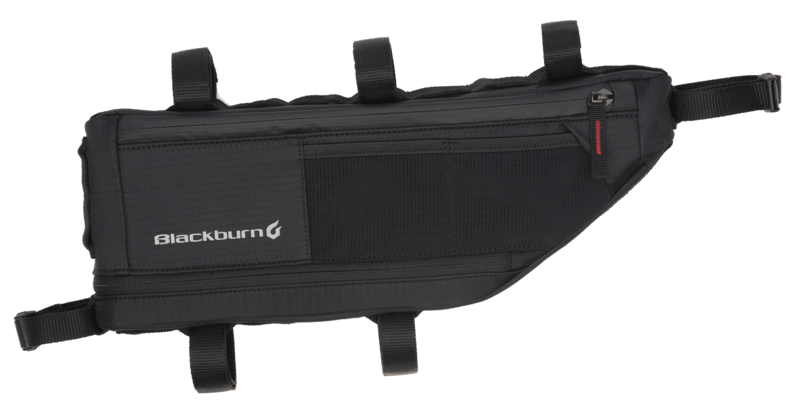 We've got the Blackburn Design​ Outpost Frame Bags in stock! 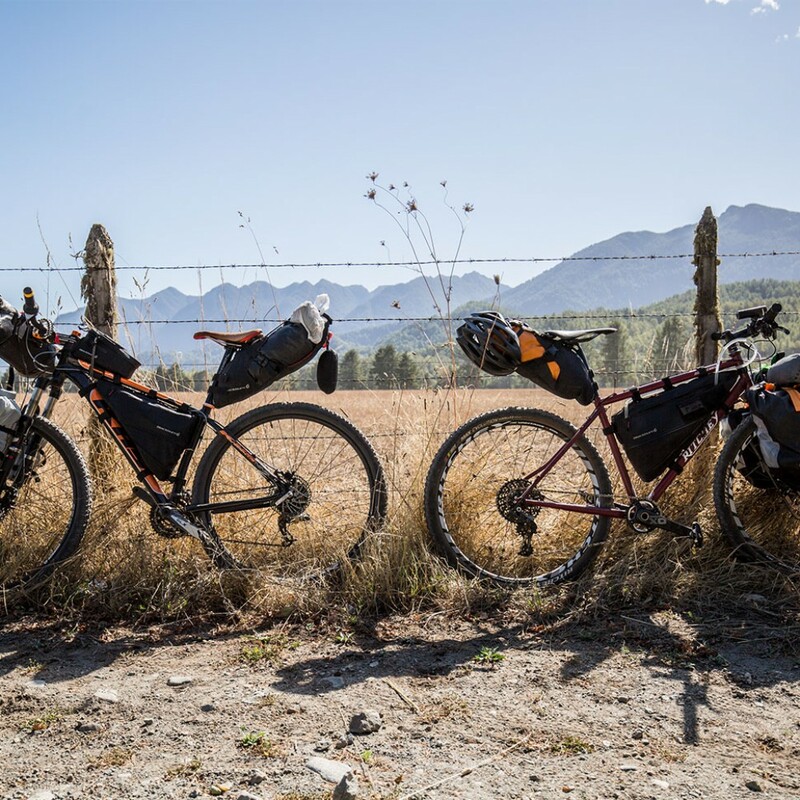 They come in Small, Medium, and Large sizes fit most bikes -- bring your bike with you to test-fit! 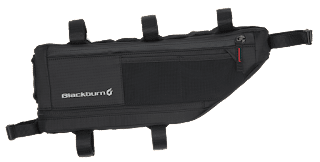 The Blackburn Outpost frame bags feature an expanding bottom, so you can partially or fully fill the main triangle of your bike frame, depending on your needs. 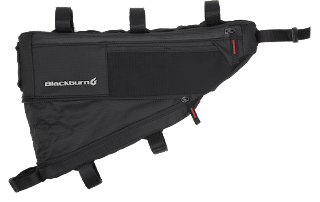 The mounting straps are movable, so you have the flexibility to fit the bags around cables, derailers, and other accessories. There's also a hydration tube exit hole, which comes in handy if you want to carry your water inside the bag (since the bag will occupy the space where your water bottles usually go).